The Democrats’ super villains for much of the last decade have quietly launched a rebranding effort. Regardless of its name, the conservative network remains one of the nation’s most influential political forces, a conservative powerhouse. 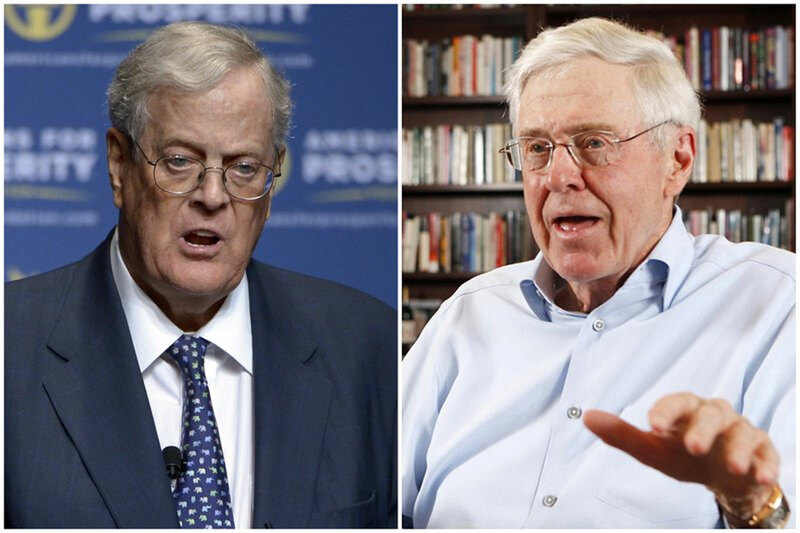 The conservative Koch brothers are no more — even if they remain a political powerhouse. The Democrats’ super villains for much of the last decade have quietly launched a rebranding effort that may vanquish the “Koch brothers” moniker from American politics. The catalyst came earlier in the year when ailing billionaire conservative David Koch stepped away from the family business, leaving older brother Charles as the undisputed leader of the Kochs’ web of expanding political and policy organizations. There were already few, if any, clearly identifiable links between the Kochs and their most active spinoff organizations such as Americans for Prosperity, Freedom Partners or the LIBRE Initiative. But in the days after the younger billionaire’s retreat, company officials quickly began pushing journalists across the country to change references from “Koch brothers” in their coverage to “Koch network” or one of their less-recognizable entities. Asked about the shift on Saturday, Koch’s chief lieutenants explained that 82-year-old Charles Koch was always far more involved with their political efforts than his ailing brother. The elder Koch addressed the shift directly as he welcomed hundreds of donors to an invitation-only summit at a luxury resort in the Rocky Mountains. Regardless of its name, the conservative network remains one of the nation’s most influential political forces, a conservative powerhouse simultaneously playing the long- and short-game in a way that ensures it will remain a dominant force long after President Donald Trump is gone. And in sharp contrast to the Republican president who is eager to put his name on his accomplishments, the Kochs are happy to do it in the dark. While they have long been closely aligned with the Republican Party’s far-right flank, they oppose the Trump administration’s policies on spending, trade and immigration. Democrats who invested extraordinary time and resources into attacking the Koch brothers in recent years concede that, in the era of Trump at least, the billionaire industrialists are no longer the left’s No. 1 enemy.